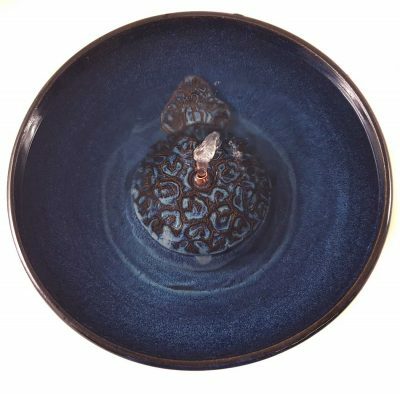 The glaze is a new, deep and rich blue not yet named, over a leopard print motif on the center piece. 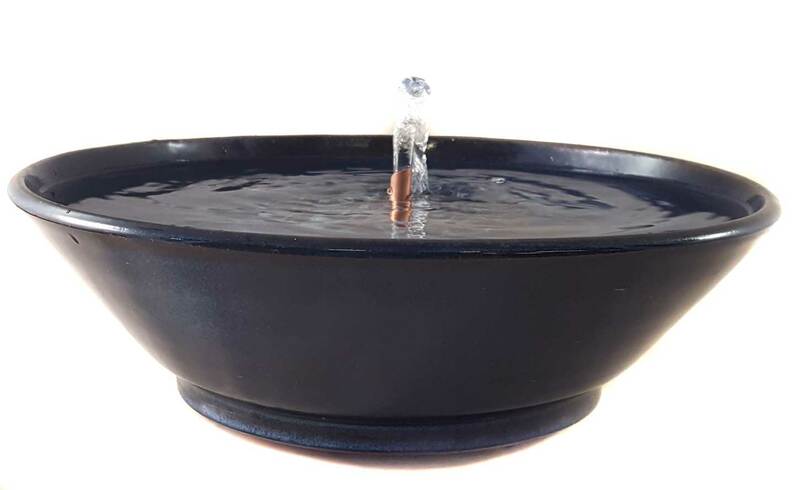 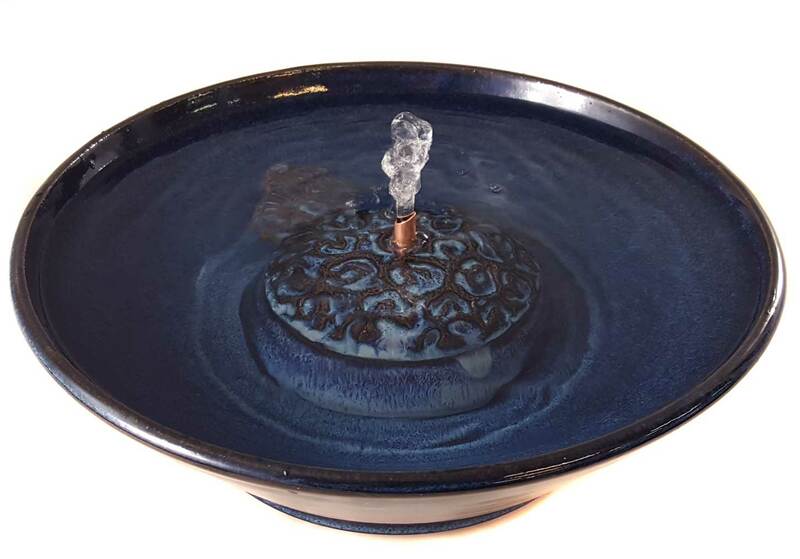 This fountain can take any of the Cat Taps , the Serenity Flow and the copper Waterleaf, for which see those listings. 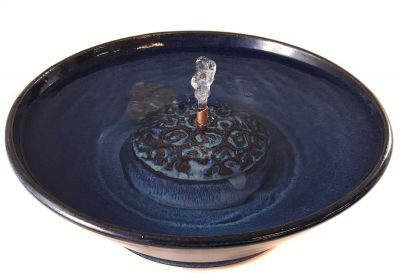 * 3.5 inches high and 11 inches in diameter.